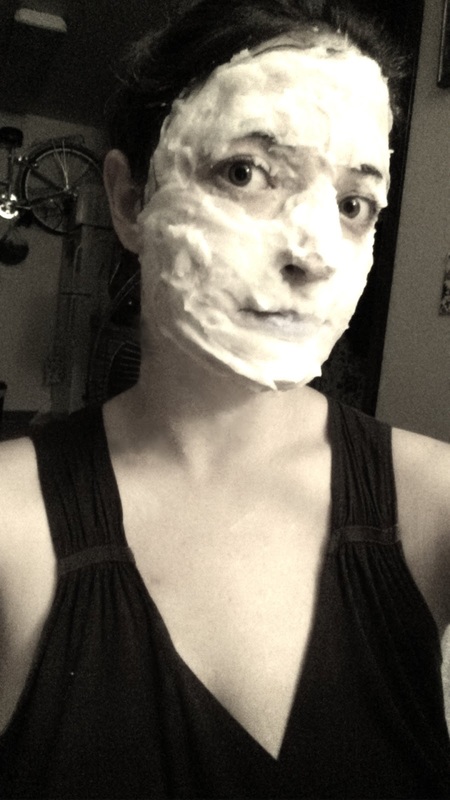 A Russian once told me that if I use mashed potatoes as a facial mask, then it will make my skin flawless. I asked her if she was just trying to get me to rub mashed potatoes all over my face. Nope, it's an old folk remedy for treating acne. My skin has been acting up lately, and I remembered that, like most women, there's an old bag of instant mashed potatoes in the back of the cupboard. "Well here's another nice bucket of spuds you've gotten me into!" I photoshopped out some of the blobs that landed on my neck, and I thought it was best to go with black and white. This transformed me from repulsive, to looking like I'm on the set of a Laurel and Hardy film. When I was finished, I splashed apple cider vinegar on my face, then took a sip from the bottle. Because I did, that's why. The end result is that my face looks exactly the same, but the skin feels all baby-like. The End.